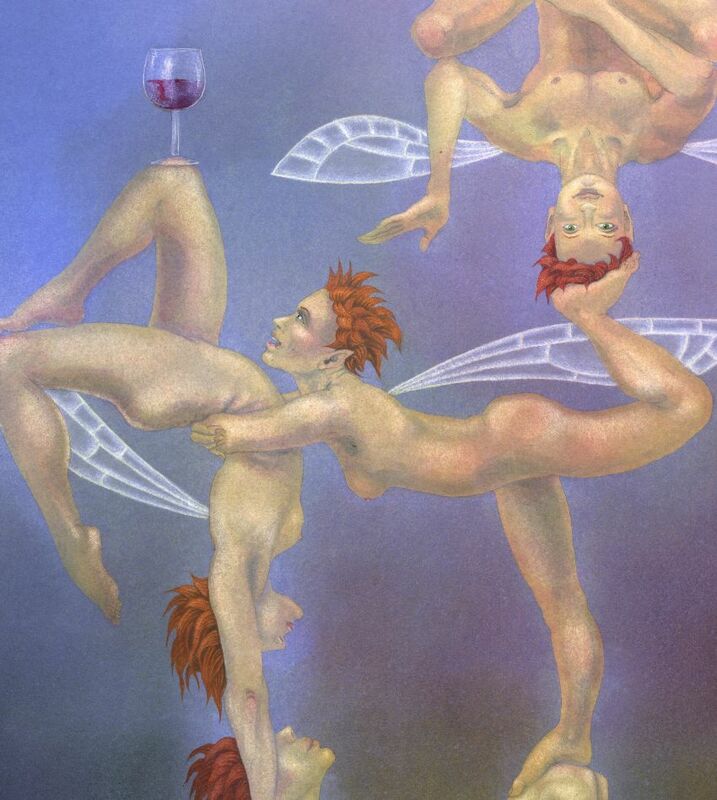 This was the painting for June for my Fairy Calendar of 2012. The plan was to have a number of fairies in each picture corresponding to the number of the month: June is the 6th month, so 6 fairies. I liked the idea of a teetering tower of fairies, and any more than 6 at this scale was probably going to be too many fairies; fewer than 6 would be boring. 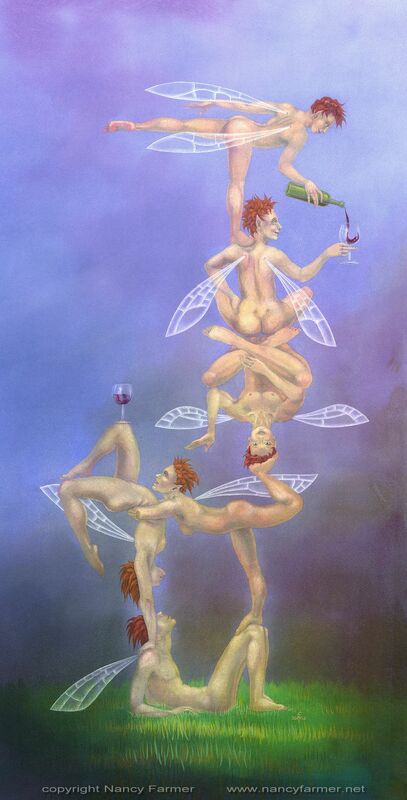 So that is the reason why we have fairy acrobats for June. 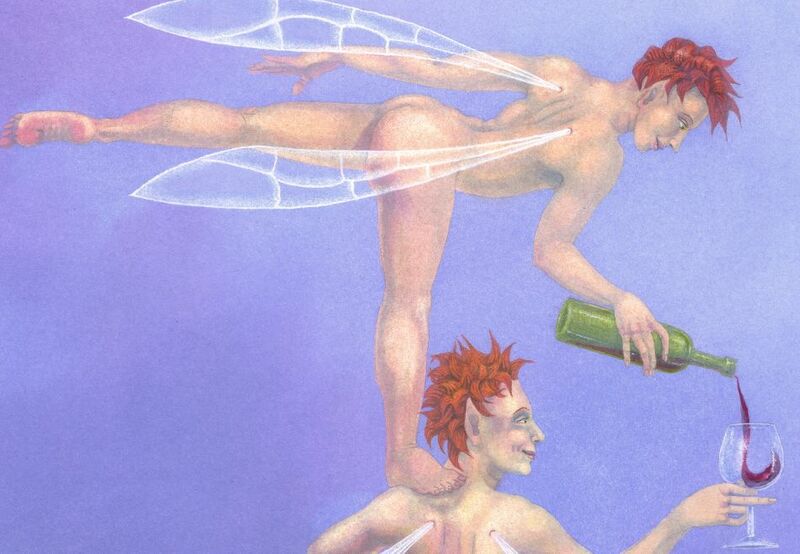 Wine was of course likely to feature, too, but the second wineglass - the one balanced on the fairy's knee - was added in at the last minute: without the the composition was simply short of something!